What’s it Like to Ride the Canary Challenge? Save the date to register for the Canary Challenge 2014- registration opens on January 4 in the New Year! Canary Foundation’s progress continues to be on a rapid path. Through prestigious partnerships, research, and clinical trials with quantifiable results, Canary Foundation is funding early detection research that will save lives and permanently change the landscape of cancer diagnostics. People like you have made this progress possible. In 2013, our partnership with Stanford University expanded and we moved into our new state-of-the-art Canary Center at Stanford to continue our work realizing early detection solutions. We are pleased to share a new video featuring our high points. We thought this was a great way to reflect on key ideas Canary was founded upon that have become reality. We invite you to view our 5-minute Canary Foundation video! When you and your family make giving decisions this holiday, we ask that make cancer early detection a priority. Please give generously. About one man in six will be diagnosed with prostate cancer in his lifetime. Most men diagnosed with prostate cancer will not die from it. With screening, we’re doing better at identifying prostate cancer early. But now, the clinical question is: with a prostate cancer diagnosis, do we treat, or is treatment not necessary? Treating prostate cancer when it’s not necessary exposes men to potential side effects—including incontinence and impotence– of aggressive treatment like surgery. This is known as overtreatment. We need better tools to differentiate aggressive prostate cancer from non-aggressive prostate cancer to guide these decisions. 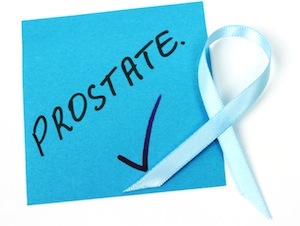 In 2007, the Canary prostate team decided to focus on this important clinical question. How will we distinguish lethal from non-lethal prostate cancer? Identifying the difference early on will save lives. New tools will also help end unnecessary biopsies and overtreatment. By 2008, the team launched a clinical trial called PASS, the Prostate Active Surveillance Study. Men with early stage, localized, low-risk prostate cancer can enroll and have their cancer closely monitored for signs of progression. This process is called active surveillance. The trial’s goal is to manage low-risk prostate cancer through active surveillance while identifying markers to distinguish non-aggressive prostate cancer from potentially lethal disease. The PASS trial has been running smoothly, and in October 2013, the PASS Trial reached another major milestone when the 1,000th man was enrolled in the trial. We are so grateful for Canary Foundation supporters, who provided funding early on for this work. They recognized that the project was underfunded and important. We’re also extremely thankful to the men who participated in the trial for contributing tens of thousands of samples to prostate cancer early detection research. Thank you! Recently, Canary Foundation and Stanford embarked on a collaboration with the MD Anderson Cancer Center, working together on a large-scale initiative to improve the screening process of lung cancer for earlier detection of this lethal disease. The Canary lung cancer team leader, Dr. Sam Hanash, was recruited to the MD Anderson Cancer Center, which launched an ambitious Moon Shots Program aimed at rapidly and significantly reducing mortality in several major cancers. Lung cancer is currently the leading cause of cancer deaths. As part of Moon Shots program, lung cancer physicians and researchers are initiating a screening study to improve screening for lung cancer. The goal is to recruit 10,000 individuals in the U.S., and to partner with international sites, including China and Germany, to conduct studies with an additional 10,000 patients. Canary will be joining forces with MD Anderson, combining CT scan technology and biomarker research to better interpret screening results. These clinical trials represent the next phase of Canary research, taking the progress we’ve made in the lab and testing it in a larger clinical setting. Each year, Canary Awards — often featuring a golden or crystal canary — are presented at the Canary Symposium to recognize the year’s outstanding contributions. This year, two awards were bestowed for teams who demonstrated outstanding progress in their cancer early detection research. Photo: The clinical trial coordinators for the Canary Prostate Active Surveillance Study (PASS) accept the 2013 Canary Award on behalf of the Canary Prostate Team. Dr. Dianne Miller was presented with the award for her team’s success in promoting adoption of ovarian cancer prevention programs throughout the Canadian province of British Columbia. Because lethal ovarian cancer often originates in fallopian tubes, their removal can prevent the development of ovarian cancer, potentially reducing the incidence by 50% or more. Since the advent of the British Columbia educational campaign in September 2010, clinics across the province have seen a practice shift toward removal of fallopian tubes during common gynecological surgeries (such as hysterectomy and tubal ligation), thanks to the efforts of Dr. Miller’s team. 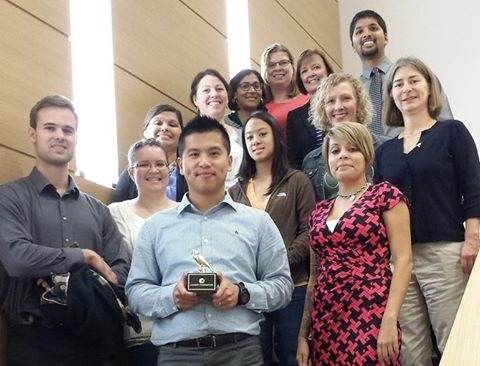 The Canary Prostate team was presented with the Canary Award for the team’s success in meeting or exceeding all of its major milestones in the Prostate Active Surveillance Study (PASS) clinical trial. Earlier in the month of October, 2013, the PASS trial celebrated reaching another major milestone, as the 1,000th participant was enrolled in the trial. The trial’s goal is to manage low-risk prostate cancer through active surveillance while identifying markers to distinguish non-aggressive prostate cancer from potentially lethal disease. Congratulations to both teams for all their hard work, and to all the Canary teams who work tirelessly to develop research and solutions to make accessible cancer early detection a reality. In the United States, it is estimated that there will be 232,340 new breast cancer cases and 39,620 breast cancer mortalities in 2013. 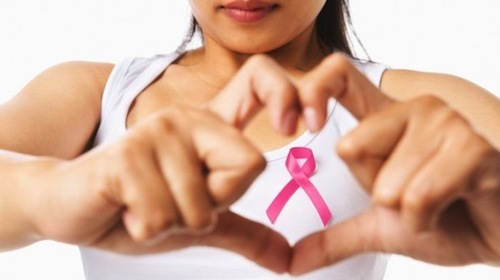 1 in 8 women will be diagnosed with breast cancer during their lifetime. Despite the widespread use of mammography, the technology is limited as many cancers are missed and conversely many women undergo biopsies and surgeries of benign or non-aggressive tumors. Canary Foundation is supporting a Breast Cancer Early Detection Initiative focused on finding blood-based and imaging biomarkers to improve the current state of breast cancer early detection. The vision of the blood work is to distinguish women with benign versus malignant tumors, and to identify the aggressive, hard to detect, breast cancers. The vision of the imaging work is to detect breast cancer at the earliest stages, when the tumors are very small. Canary is committed to funding safe, efficient, cost effective tests for cancer early detection. 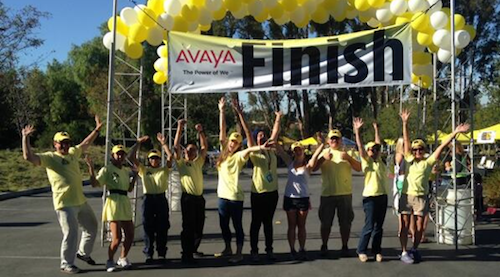 This past weekend, 800 cyclists converged at VMware village to kick off Canary Challenge 2013, a great increase over the number of riders from last year! Over $800,000 was raised to benefit cancer research at the Stanford Cancer Institute and Canary Center for Cancer Early Detection at Stanford. 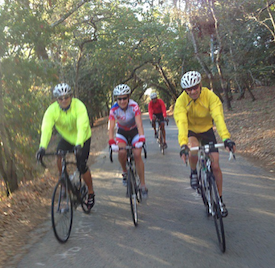 Cyclists rode (or a handful walked, in the case of the 5K) collectively 39, 290 miles! There were a total of 78 teams participating, with over 120 volunteers cheering, manning registration, and passing out drinks and snacks to replenish riders along the route. Most incredible was the great energy at the event – participants’ dedication and commitment to the cause was palpable, and the celebratory air when cyclists returned triumphant from their rides was electric. We loved when riders stopped by the social photo booth to show us “#WhyIRideCanary”. Everyone who contributed to the event did so because they were inspired by the need for cancer early detection research. It was incredible to hear their stories – a great reminder of why we ride. A great thank you to all the riders, sponsors, volunteers and staff who came together on September 28 to make this ride such a great success. Ride on, Canary Challenge participants! Save the date for next year: September 27, 2014! We’re currently 10 days away from the Canary Challenge, and weather reports show that conditions will be perfect the day of the ride. We are so excited to see all the riders, sponsors, and volunteers (and their families) at the Canary Challenge on the 28th! Currently, we’re running a contest to get you excited about raising funds for cancer early detection and getting your friends signed up for the ride. The incentive? A pair of FABULOUS high end display goggles from Recon Instruments (UVEX Model G.GL9). These goggles give you all the information you could ever dream of wanting delivered instantly, hands free and direct to eye. It’s the world’s first heads up display for sports. Thanks to Recon Instruments for their generous donation! The deadline for this contest is Monday, September 23. To participate, complete the steps above and email Jesse to let him know you’re eligible for the prize. Additionally, we’d like to call attention to the top five Canary Challenge fundraisers so far. These individuals have collectively raised more than $45,000 and they’re still going strong! Many thanks to these fundraisers for serving as such great inspiration to keep reaching for as many donations as possible to benefit cancer early detection research at the Stanford Cancer Institute and the Canary Center at Stanford. Way to go! More than 815 cylists have registered to participate, an exciting 61 percent increase over 2012 registration. Many of the cyclists participate with a personal reason for riding. For instance, Carolyn Helmke of Mountain View, an accomplished individual fundraiser, is a cancer survivor. “I support the Canary Challenge 100 percent,” says Helmke, who encouraged her friends to give a donation to the Canary Challenge in lieu of birthday gifts this year. She has raised over $4,000 to date, just one of the hundreds of participants who are on track to collectively raise $1 million in donations for cancer research this year. Cancer early detection research is a cornerstone of Canary Foundation. In this latest installment of our Canary Minute series, Sasha Hao interviews Canary Challenge participants taking part in the last Vanderkitten last training ride before the Canary Challenge, the premier Palo Alto CA cycling event held each September to raise funds for cancer early detection and the Stanford Cancer Institute. This video gives an inside look into the Vanderkitten training ride and all the different reasons why the riders are passionate about the Canary Challenge. Check out our entire Canary Minute playlist on YouTube!